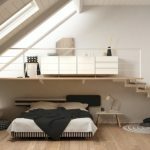 Your interior designer talks about creating a space that has ‘timeless elegance’ and ‘contemporary chic’ because of a lot of ‘negative space’, and you are left wondering what exactly she is talking about. When she tries to define your space using Feng Shui principles and enthuses about ‘green living’, you need not surreptitiously check Google all the time because we have put together an Interior Design Jargon Buster series to clear things up for you! 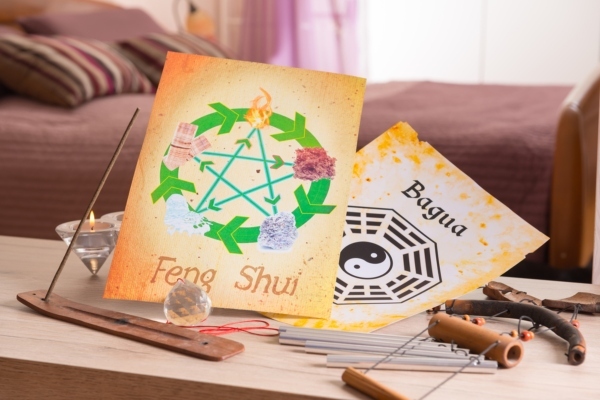 The practice of Feng shui originated in China and uses the forces of energy to harmonize people with their surroundings. Elements of fire, water, metal, earth, and wood are placed in the right locations to improve specific areas of people’s lives. For those who believe in this art and science, feng shui plays an important role in determining the interior layout of living and working spaces. 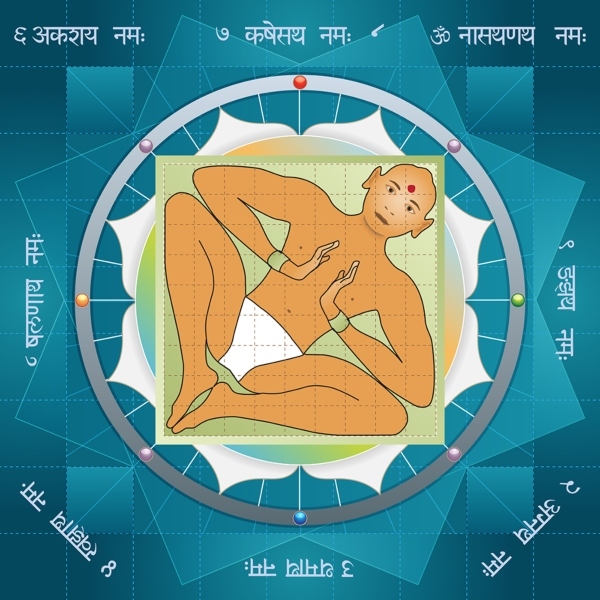 This ancient Hindu science of architecture lays out design principles, space arrangements and layouts that serve to integrate building planning with nature. 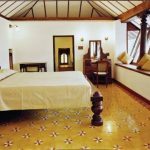 In accordance with Vastu shastra principles, the interior arrangement of a building impacts the balance of energies and has a relation to the health, wealth, career and personal life of the people who occupy the spaces within. In the kitchen, for instance, it is believed that the southeast corner is the best location for the element of fire; the stove. A design concept is, simply put, the idea or theme behind the design. It is the logic and reasoning behind designing your interior in a particular way. 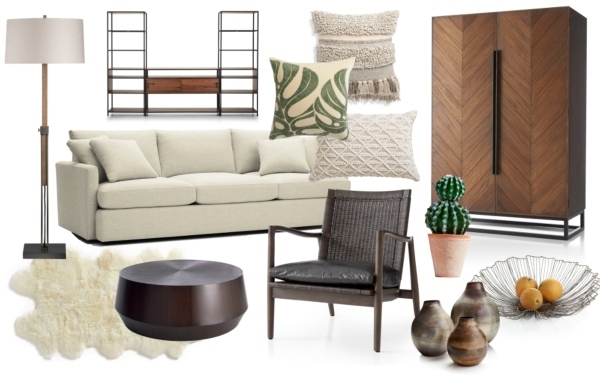 The concept board is a great idea to see if the different elements in the room will go together in a harmonic way. With so much talk about saving our planet and living a healthy lifestyle, the idea of green living has caught on in a big way. Green living is all about making sustainable choices for your family as well as the environment. Simple interior solutions like energy efficient lighting, shower heads that save water, and repurposed furniture can go a long way towards conserving our resources. Try to use natural materials that come from renewable resources, such as terracotta flooring or bamboo furniture. 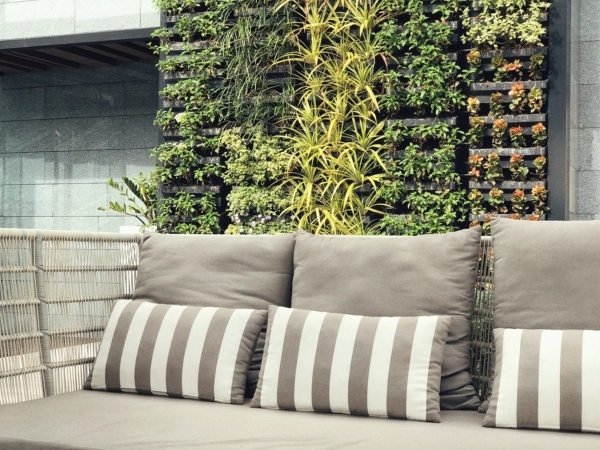 Adding greenery to your balconies, for instance by creating a vertical wall with plants that purify the air, is another great way to embrace green living. If you like to go with the latest trends, and enjoy things that are modern, then a contemporary style of interiors would suit you. 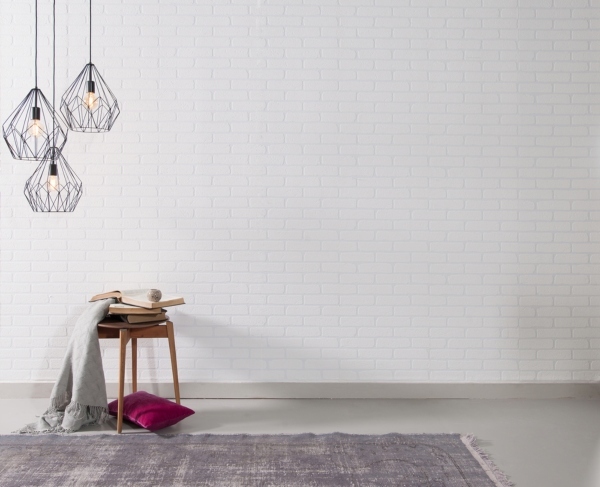 This style is characterised by clean lines with minimal fuss, and is fresh and simple. The colour palette is often black, white and grey that is combined with solid bold shades of colour; with the usage of a lot of glass and metal. 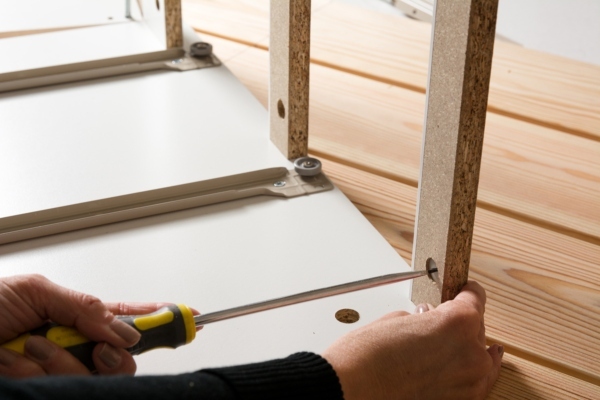 Knock down furniture is designed to be assembled, and normally comes with instructions on how the pieces should be put together. Quite often the company that is selling the furniture will send along handymen who will do the assembly for you as part of their delivery deal. Modular furniture consists of premade units that are made to certain sizes and can be put together in different ways. Modular furniture is easy on your budget and can be assembled quickly. In the kitchen shown below, the cabinets are all made to prefixed sizes. If you have old furniture that is worn out but still has value for you, it can be repurposed to serve a new function. 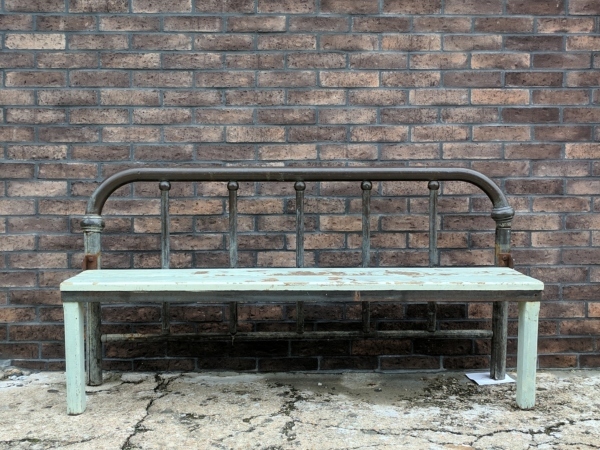 Repurposing gives life to old furniture and also helps to promote green living! The image below shows an old door that has been refinished and is now used as the headboard for a bed. 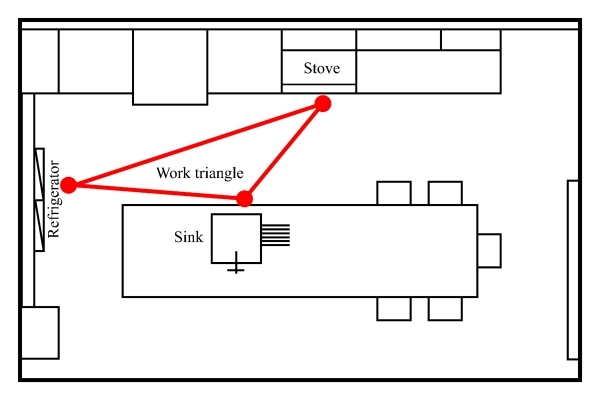 The kitchen work triangle is a design concept that determines the efficiency of a kitchen layout. 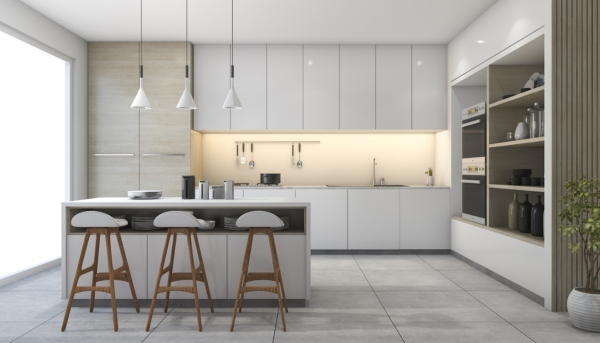 The three points in a home kitchen where important tasks are carried out are the cook top, the sink and the refrigerator. These need to be placed at the three points of a triangle for best work functionality. A symmetrical interior perfectly balances elements on either side of a focal point, as seen below. 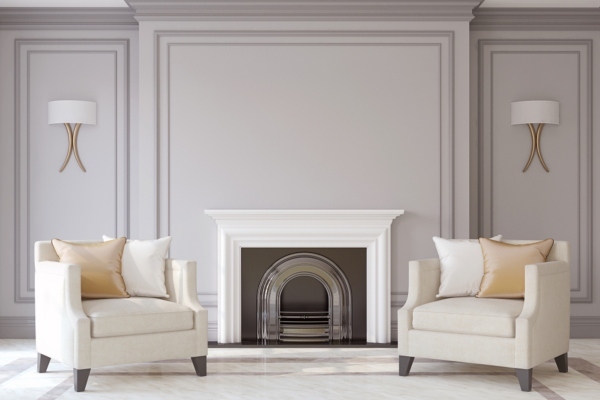 In this living room, the painting over the fireplace is the focal point of symmetry, and the elements on either side seem to be mirrored about this axis. 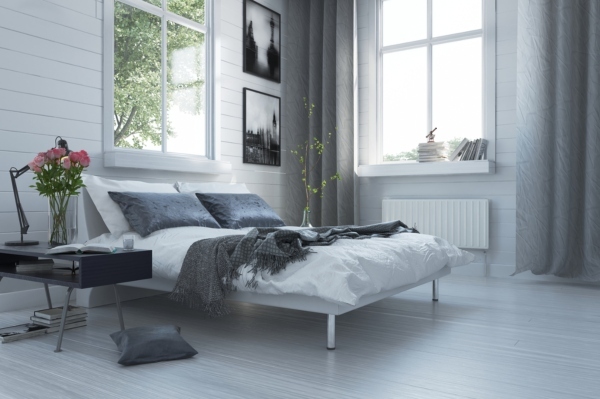 A room with a monochrome colour palette uses various shades of the same colour. This often creates a calm and pleasing environment. Negative space in interiors is the area around objects. It brings the object itself into focus, and enhances its visual effect. Negative space builds on the premise that ‘less is more’ and adds visual appeal to the interior. We hope we’ve been able to get you on the same page as your designer by helping you understand some of her vocabulary. In the comments below, do let us know what other terms you would like to know about, and we’ll cut through the jargon for you! 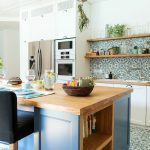 Modular kitchen vs. carpenter-made-kitchens: Pros and cons. I am Tushar Design partner from Homelane. Now a days people use it for there commercial purpose and it happens cause of feng shui . Hi Tushar, those are some valid, insightful points! Thank you very much for your comment.